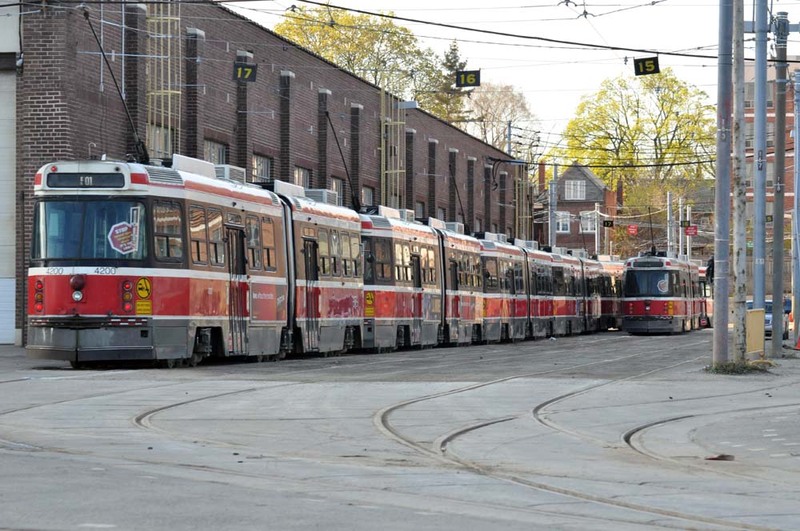 I think that I found the world's longest streetcar. 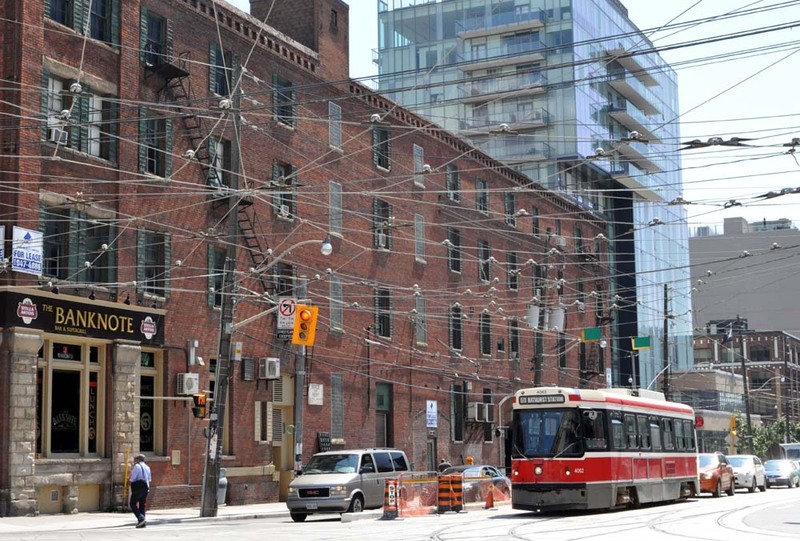 This thing seems to stretch out longer than ten normal streetcars. It's like a big red rocket snake, ready to pounce on people and force them into the electrified public transit mode of transportation. Maybe it's like a gang, each wearing the gang colours, maybe carrying a shank. I feel sad for single solitary streetcars, afraid of the gang streetcars. 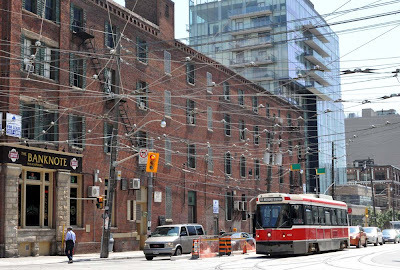 This streetcar is going to run under a wild tangle of supporting wires and electrical conductors, probably a trap set by the gang. This is going to get ugly so I have to get out of the area fast.